I walk you through my Ultimate System To Whip Your Bottom Line Into Shape so you can develop a bookkeeping system tailored for your business, improve the state of your finances, make more informed business decisions, and go into each tax season prepared, confident, and with a good handle on how much you’re going to owe or get back. As a bonus, you’ll hear five ways to have less stress and anxiety over bookkeeping from my CPA, special guest Sarah Laufer. No entrepreneurial journey is free of missteps. Even those who make it to the top swiftly can tell you tales of bad decisions, costly errors, and embarrassing moments in their business. I prefer to call these growing pains bloopers and I’ve had my fair share of them. Now, I haven’t had any Three Stooges-type bloopers where I tripped up the stairs in front of a large audience or slipped on a banana peel walking to the podium, but I’ve done a number of silly things along my entrepreneurial journey. And when I was living out some of those bloopers, it seemed the world was crashing in on me. There were even times I cried hysterically. In my rearview mirror, though, those giant bloopers just look like tiny speed bumps along my road to success. I am able to look back and laugh at them – at every single one of them. I’ve discovered that bloopers create character and they force you to grow. 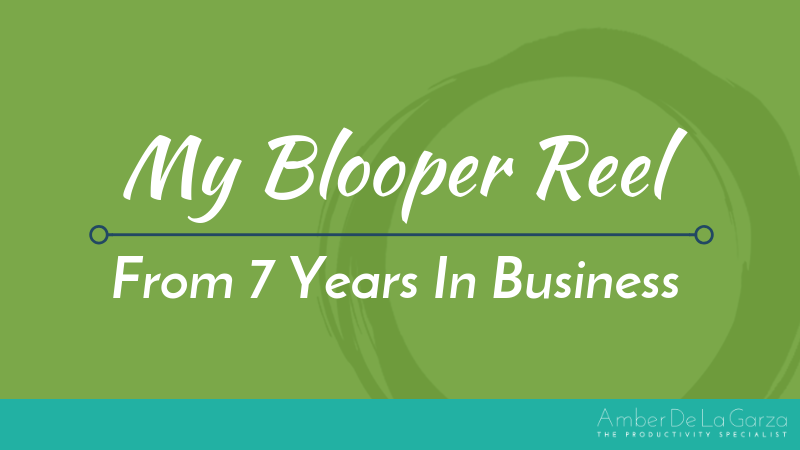 Enjoy your journey through my blooper reel from seven years in business! This an exciting episode for me because it’s my 100th episode of Productivity Straight Talk! To celebrate, I decided to do something different and take you on a journey through some of the silliest bloopers I’ve made in my business along my 7 year entrepreneurial journey. Don’t worry though, you’ll get more than just a good laugh. You’ll also get some inspiration and takeaways to help you recover quickly from your own business bloopers. I sit down for an on-air strategy session with one of the Financial Advisors of Raymond James, Laura Cook, to tackle her challenges with productivity in the entrepreneurial space. We cover how Laura’s interactions with her clients could be systemized to decrease disruptions to her workflow while providing a superior level of client servicing and reclaim time for more productive activities. 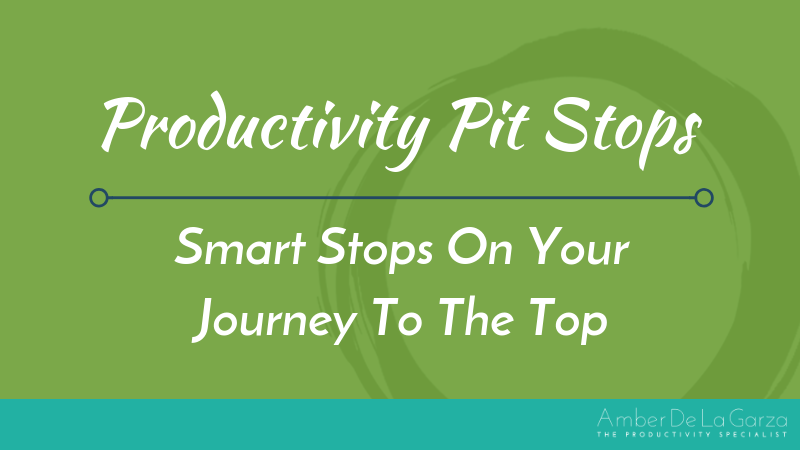 I walk you through some pit stops you should consider making throughout the course of your work to kick your productivity up a notch and enable greater growth in your business. I sit down with the CEO of DiscoverED Consulting, Chanie Wilschanski, who helps school leaders build schools of excellence. We walk through Chanie’s well-oiled systems, processes, and routines that transform everyday chaos into teachable moments, growth, and revenue-generating opportunities. I sit down with therapist, Kayce Hodos, who specializes in providing support to moms adjusting to their crazy new life with baby. I guide Kayce through a Strategy Session to take her challenges with task mismanagement head on so she can live a less flustered life and run a more productive business.